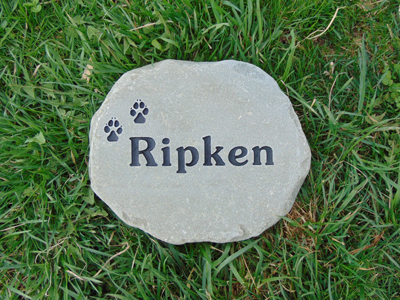 Our small garden stone is 7-9" across and is shaped from 1.5-2" thick stone. 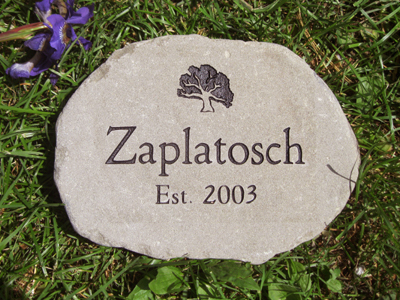 We use a tan/brown color bluestone for all of our "Garden" style stones. 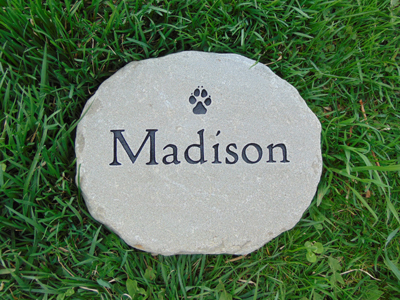 Personalize this stone with one line of text and a choice of graphics as well. 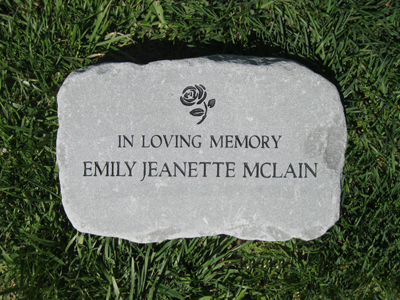 I received my memorial stone in the mail today and can't even begin to tell you how incredibly happy I am. I can't wait to take it to Poland and set it near the grave. 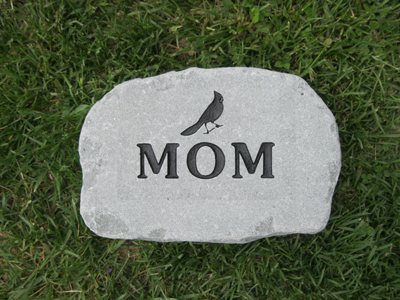 I think you should know that you do more than your job, you bring people peace, comfort, and happiness by making such wonderful stones to help remember loved ones! The service was wonderful and quick and the result is outstanding! 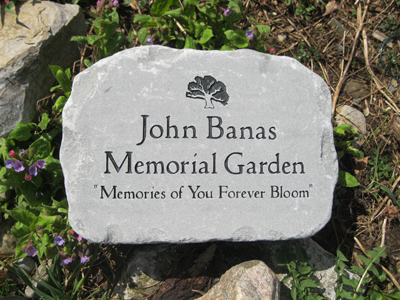 The four memorial stones ordered, arrived in perfect condition this week. Thank you for the ease of ordering, quick delivery, and a nice product. 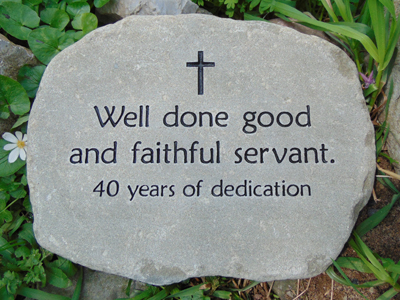 Ideal for our memorial garden at church. I just wanted to take a moment to thank you for the stone I purchased. 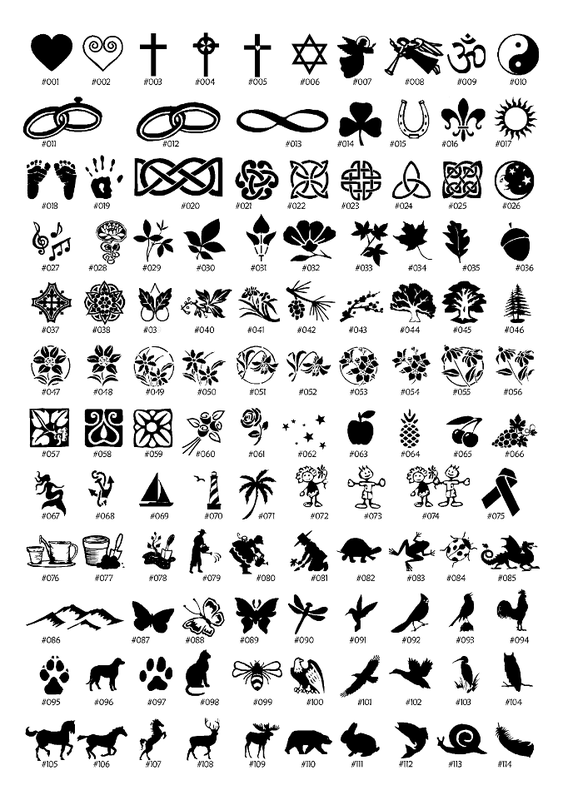 It was for a butterfly garden which is a memorial to my granddaughter who passed away last November. 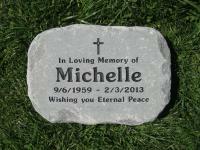 I looked all around online and could not find a stone that was large enough at a price that I could afford. I thought I was going to have to forgo the stone all together which obviously saddened me as I wanted the garden to be perfect. Then I found you,ordered and couldn't be more pleased with the product I received and the time in which it arrived. Thanks so much..I will definitely recommend you!!! I wanted to drop you a note to THANK YOU for the awesome service! My stone arrived on Saturday. My friend was so touched that she was overwhelmed with emotions. Your customer service was out of this world! This is something you don't seem to get in today's world, so I appreciate it.